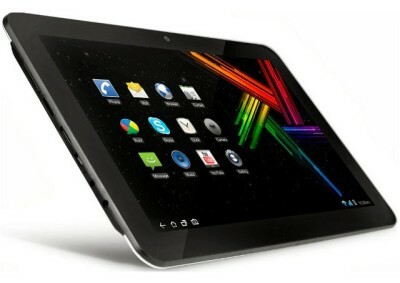 Kobian launched a new tablet 10.1-inch tablet ,the Mercury mTab 10. It comes with 10.1inch LED backlit capacitive touch screen display with a resolution of 1024×600. It is powered by 1.2GHz dual core Cortex A7 processor paired with 1GB of RAM and runs on Android 4.2 Jelly Bean. Micromax and Xolo has also introduced new quad-core tablets this month, the Micromax Canvas Tab P650 and Xolo Play Tegra Note. The Mercury mTab10 is 11.6mm thick and has 8GB on board storage with 32GB Expandable memory via microSD card slot. The tablet will offer superior, performance and enrich experience to the user, said the Sushmita Das, Country Manager at Kobian Pte LTD ( India). The Tablet packs with 2MP rear camera and 0.3 megapixel front facing camera. It does support 3G via USB Modem/ dongle, WiFi, USB 2.0, HDMI port, 3.5 mm audio jack and DC power jack. The Mercury mTAb 10 houses 5200 mAh battery. The tablet comes with limited warranty of 1Year. The Mercury mTAB 10 will be soon available in the Indian market, although the company has not revealed any details on the pricing of the tablet.